Fairly typical July weather during the first half of the month: hot, humid (temperatures ranging between 25 and 34⁰C) with frequent showers, some of them heavy, causing flooding in places. Summering birds at Mai Po present throughout the period (at least until 12th) included Chinese Spot-billed Duck, five immature Black-faced Spoonbills and up to four Gull-billed Terns in non-breeding plumage. Four Oriental Pratincoles were present on 1st, with one there on 12th. Other sightings of interest included the Lesser Whistling Duck until at least 5th, a Curlew Sandpiper, sub-adult Mongolian Gull and two singing Oriental Reed Warblers on 2nd, Black-shouldered Kite, Eurasian Hobby, and 95 Collared Crows going to roost on 4th, and 70 Greater Sand Plovers on 12th. 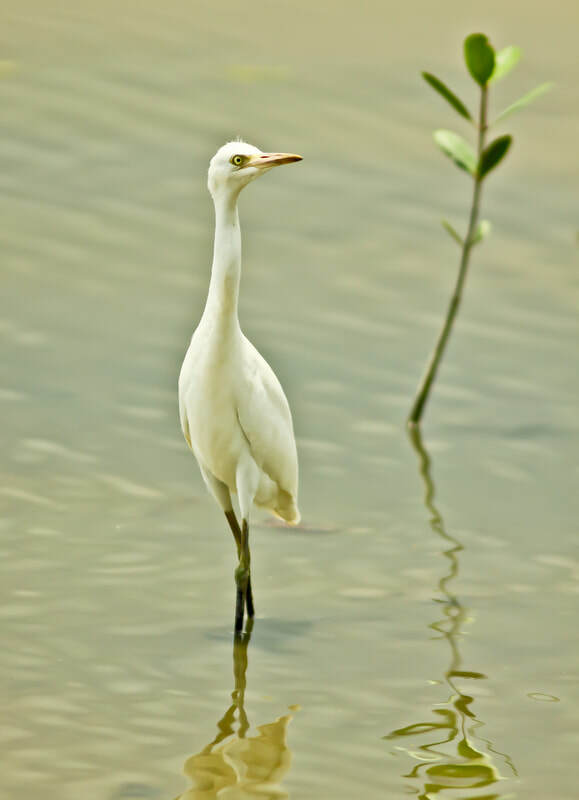 Elsewhere, two adult Swinhoe’s Egrets were seen on the tern island of Shek Ngau Chau on 1st. A Malayan Night Heron was at Tai Tong on 2nd and another was at Nam Shan campsite, Lantau on 6th. On 7th, a Brown-breasted Flycatcher was at Ng Tung Chai, and on the same day San Tin held 30 Black-winged Stilts, a Green Sandpiper, four Wood and four Common Sandpipers, 24 Little Ringed Plovers and four Red-rumped Swallows. At the Wetland Park, two Cinnamon Bitterns were reported on 11th and the over-summering Great Cormorant was seen again on 14th. Sightings at Mai Po on 15th included a juvenile Long-toed Stint, 245 Greater Sand Plovers, a Lesser Sand Plover, a Broad-billed Sandpiper, two Terek Sandpipers, two Gull-billed Terns and two Little Terns. On 17th, a Lesser Whistling Duck was at Lok Ma Chau and a Cinnamon Bittern was at the Wetland Park. On 19th, a Eurasian Hobby was seen with three recently fledged juveniles at a site in the northern New Territories. This is the third year in succession that this species has successfully bred in Hong Kong. Also on 19th, a post-breeding flock of 35 Grey-chinned Minivets was at Tai Po Kau Headland. On 22nd, the over-summering Great Cormorant was again present at the Wetland Park. A pair of Cinnamon Bitterns was also seen and it has been reported that they have bred at the site this summer. On 30th, Hok Tau held a Brown-breasted Flycatcher and at least four Indochinese Green Magpies (Category III). A Bonelli's Eagle was at Shek Kong catchwater.